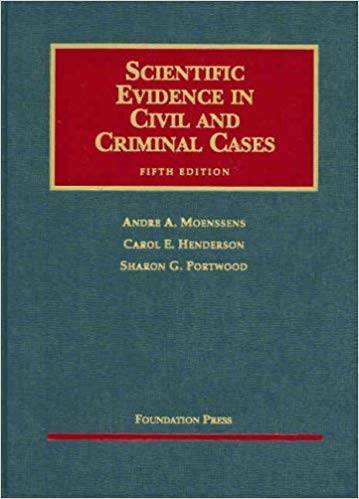 This popular casebook is designed to provide those participating in trials with a concise understanding of the scope of the most commonly encountered types of expert testimony, and the nature of the results which may be expected from specialists. It explores both the potentialities and limitations of various types of expert proof. It considers qualifications needed for expertise in these various professional disciplines and discusses the status of the law concerning the various types of evidence encountered.The book first deals with the general concepts underlying expert opinion testimony, with the use of real and demonstrative evidence, and with opinion testimony of non-expert “skilled witnesses.” It then turns in succession to expert testimony based upon the physical sciences, and expert witnesses in the biological and life sciences. Finally, the book explores expert testimony in the behavioral sciences.